This is a list of talks, exhibits, show openings and book signings on Salley Mavor’s schedule. Sunday, March 24 @ 1:00 PM – Artist Talk with featured artists Harriet Diamond and Salley Mavor. 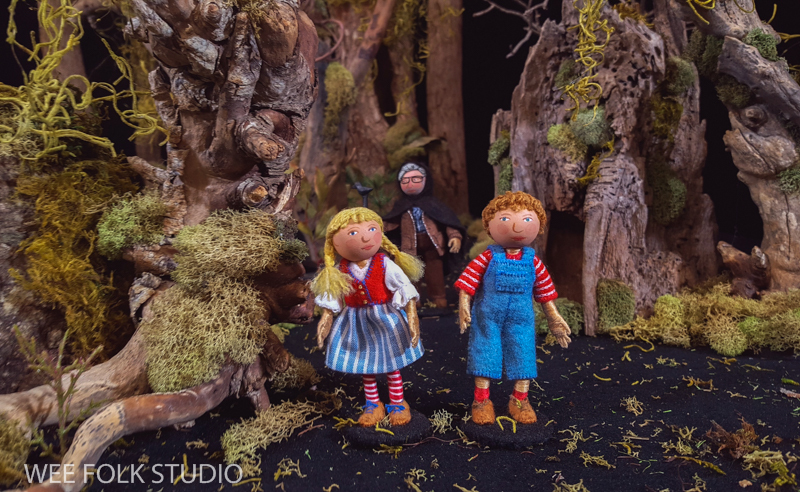 Sculptor Harriet Diamond and Salley Mavor are the featured artists in this group exhibit about migration, refugees and displaced peoples. 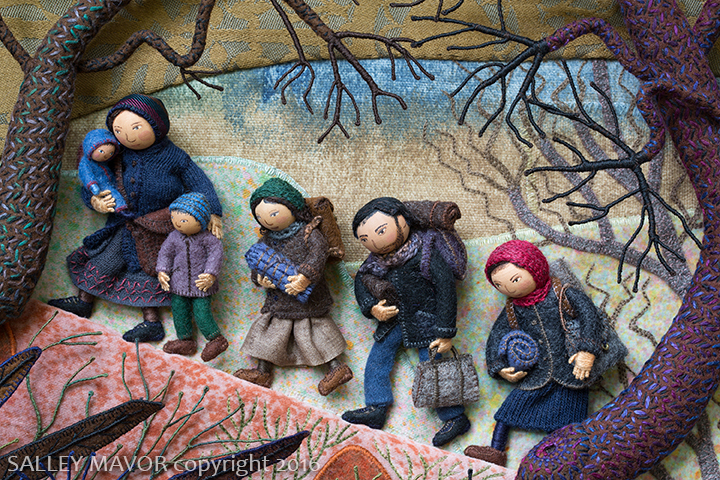 Four of Mavor’s bas-relief embroidered pieces will be on display – Displaced, Whiskers, Cover Up and Face Time. The Art Of Cute is an exhibition that takes a serious look at a powerful aesthetic that is often not taken seriously. The exhibit is organized into three sections: Normative Cute, Applied Cute and Meta Cute and will explore why we are drawn to that which is cute and how its impact is felt in life, in design and in art. 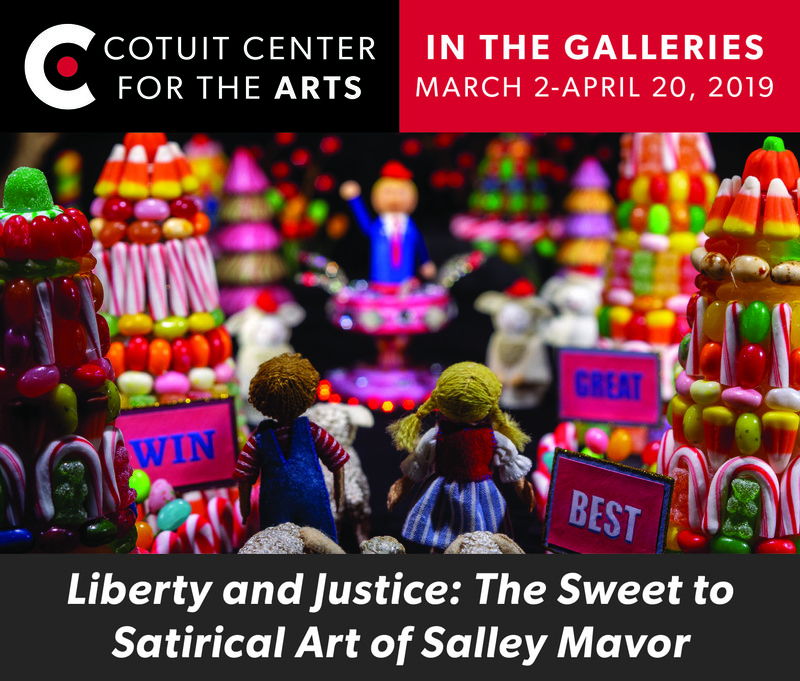 A group of Salley Mavor’s topical and political work will be displayed in the Meta Cute or “beyond” cute category. This part of the exhibit explores how cute, combined with other aesthetics, can create meaningful art that can be ironic, disturbing, political, joyous, humorous and provocative. Have just discovered your beautiful video. I love your exquisite work. My sister and I enjoyed your visit ,talk about your art work, film of your life and your books, @ the congregational church in Falmouth. Thanks, Joan Haggerty Mashpee m.a. Thank you for sharing your exquisite fabric relief art with the rest of us. A friend and I recently enjoyed your show at the Mahopac Library. Your books are lovely, but seeing the level of detail in your work in person was truly amazing! My daughter just saw your book in michaels and we bought materials to make the kids projects. I am a contemporary art lover and now a wee fairy lover as well. Very cool and unique style. We will be attending Boston show! Are you coming to CT? Sorry, but the show has already been to the Dodd Center at UConn in Storrs. Thank you for your kind words and encouragement to show my work in northern California. Perhaps an invitation will come my way in the future. For now, I am concentrating on creating new pieces and entering them in group shows. So, one of my originals is coming to northern California! I’ve just heard that my piece, “Birds of Beebe Woods” was accepted into INNOVATIONS IN FIBER ART VI, Oct. 24 – Nov. 30, Sebastopol Center for the Arts. I hope that you have a chance to go see the show. Hi Salley-I took your banner class at highfield hall and wondered if you had considered teaching another one there? I love your work and enjoyed making my harvest banner. The banner workshop was fun and I’m glad that you came! Thank you for asking, but I will probably not be giving more workshops in the future. My work is luring me into the studio more these days and I find that I don’t have the time or energy to teach classes. I love your work and I will attempt to make a “quilt” for hanging using the picture on the cover of Felt Wee Folk, and adding other panels around the picture for my new baby grandson to be. I’m having trouble finding fleece for the hair in natural colors. I looked on the websites you provided but don’t see the type you used in your dolls. Your project sounds impressive! With the popularity of needle felting, there are lots of places to buy wool fleece on the web. Search for wool roving, wool fleece or needle felting. Love your work!!! Do you ever come to Michigan, or is any of your work close by? Thank you Anne. So far, I haven’t been invited to exhibit in Michigan. I will be entering a juried exhibit in Muskegon, so there’s a chance there will an original there next year. Just keep checking this page for show listings. Hello Salley, WOW your work is amazing, truly inspiring. Do you think you would ever consider coming to New Zealand? Thank you so much for your enthusiasm and interest in my work. New Zealand is on my bucket list, so perhaps a trip is in the future. I don’t teach, but if you have connections with a group that could host a talk and book signing, please let me know. Hi- I won’t be able to make your talk on Thursday in SC. Will it be video recorded ? Won’t be the same but would still be something. The title, Once Upon a Thread sounds so wonderful, I’m hating missing it. Your site is wonderful and beautiful. Please add me to your email lists/updates. I live in Washington state; do you ever come to this part of the country? I am so disappointed that the Liberty and Justice short is sold out! Will you be showing it anywhere else in the future?